Rapid growth in the number and diversity of digital media outlets is creating novel opportunities to increase public engagement with science. Dr Daniel J. McGarvey and Sarah E. Faris, working at Virginia Commonwealth University, have developed an interdisciplinary training program that teaches STEM graduate students to use digital media to effectively communicate scientific topics to general audiences. Communicating science in a way that is both informative and engaging is a significant challenge. 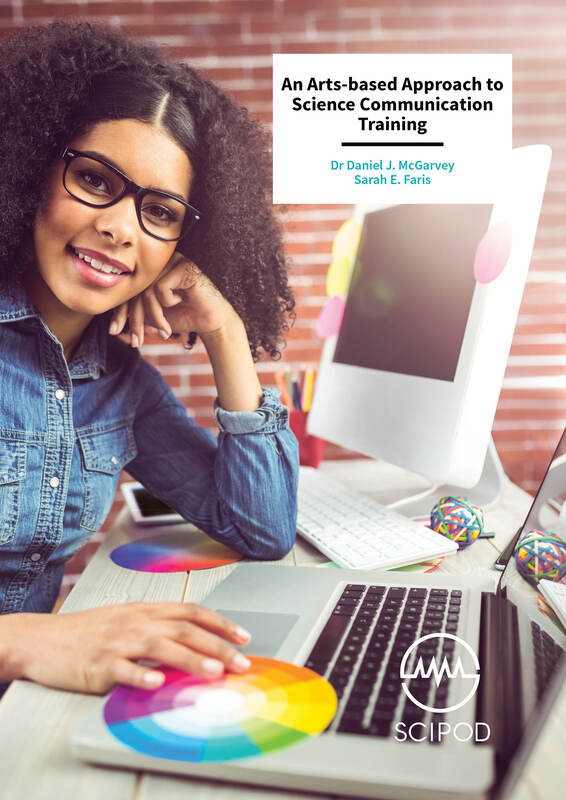 Scientists are trained to write for technical journals but rarely have specialised skills in graphic design or the creation and use of digital media. This has allowed an information gap to develop in the public’s understanding of science. In some cases, members of the public may simply remain unaware of scientific advances. But in others, audiences may turn to unvetted or erroneous sources of information on science, which are now abundant on the internet. In response to the lack of opportunities that STEM graduate students currently have to develop a diverse set of communication skills, Dr McGarvey has been collaborating with Sarah Faris, an assistant professor in VCU’s Department of Communication Arts. The pair is developing a training project that teaches graduate students to apply digital media and design tools when conveying the details and importance of their research to non-specialist audiences. The result is an interdisciplinary training program, called ‘Ecological and Environmental Perception version 2.0’ (eESP2.0), which uses an arts-based approach to enhance the visual communication skills of STEM graduate students at VCU. At face value, an arts-based component to STEM graduate training may seem radical. Science is, after all, an exercise in objectivity and standardised methodology. Yet the underlying methods and motivation of eESP2.0 are simple. Dr McGarvey and Faris are teaching students to leverage industry-standard tools in digital media and graphic design, with the hope that aesthetic visual content will spark greater public interest in science. The communicative power of strong visuals is something that all artists and designers are intimately familiar with. Well-designed visuals are generally more effective communication devices than the primarily text-based documents that scientists are trained to prepare. Indeed, empirical research has shown that messages accompanied by liberal graphical content are often retained more clearly and for longer periods of time than messages presented in primarily auditory or textual formats. 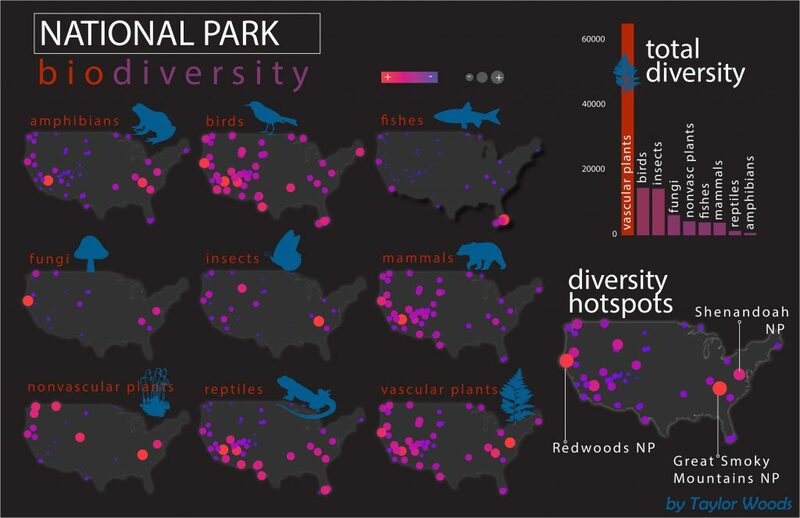 Poster by Taylor Woods, summarising and mapping the diversity of animals and plants within U.S. National Parks. Funded by a VCU Quest Innovation Grant, the eESP2.0 program launched in the autumn of 2014. It has since offered formal courses that prepare students to work in several media formats. ‘So far, eESP2.0 course offerings have included a digital illustration and infographic design class, a second course in digital documentary filmmaking, and a third in website design,’ says Dr McGarvey. ‘However, the infographic design course has clearly emerged as the most germane to our STEM graduate students.’ In this course, students learn to create digital, vector-based images that can be used in any type of media, ranging from slides and posters to websites, animations, and print articles. Dr McGarvey explains that ‘in a world that is saturated by digital media, where effective communication must often begin with an image that is sufficiently aesthetic to out-compete other stimuli for an audience’s attention, we are teaching our STEM students to leverage the knowledge base and many of the technical skills that artists and graphic designers use on a daily basis.’ By training graduate students to use modern tools in digital media and design, Dr McGarvey and Faris hope that their students will one day share their work with general audiences in more captivating and interesting ways than many of their scientific peers. Left: Poster by Benjamin Nickley, illustrating seasonal changes in the abundance of endangered Johnson’s Seagrass (Halophila johnsonii) within the Loxahatchee River, Florida. Water quality monitoring in the river traditionally occurs in the summer, but survey data suggest that spring monitoring will be needed to accurately characterise the local distribution of Johnson’s Seagrass. 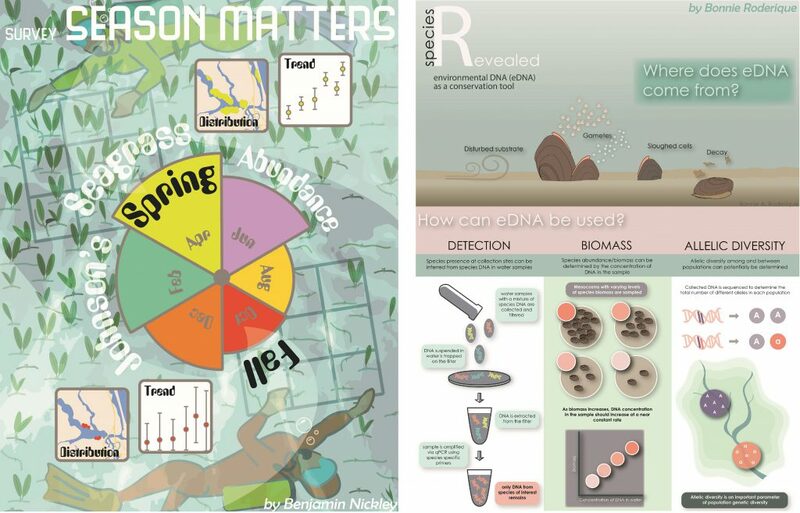 Right: Poster by Bonnie Roderique, illustrating the production, analysis, and application of environmental DNA (eDNA). The underlying research context was an attempt to use eDNA, in place of tradition field surveys, to detect the presence of a rare and endangered mussel within a river network. Dr McGarvey and Faris want their students to understand that audiences respond to visual cues in predictable ways and that careful preparation of visual content can dramatically improve communication effectiveness. Accordingly, the fundamental objectives for all eESP2.0 courses are to teach students core principles of design, train them to anticipate the perceptions of target audiences, and provide them with enhanced technical skill in the creation of visual content. Lesson plans include the basics of typography and legibility, colour theory, and effective use of space in page layouts. Sketchbooks and in-class critique sessions are used to experiment with and evaluate students’ ideas. And with each consecutive assignment, students are challenged to further develop their technical skill with media-specific software, such as Adobe Illustrator and Photoshop. Students also learn to work across software platforms, often creating base charts and maps with R statistical software or ArcGIS, then importing their work to Illustrator for further editing and integration with other graphical and text elements. Left: Poster by Nicholas Moy, summarising the transfer of toxic algae (Microcystin) from the James River, Virginia to terrestrial vertebrates via riparian food webs. Superimposed charts shown empirical Microcystin body burdens in four food web constituents and ambient concentrations in river water. 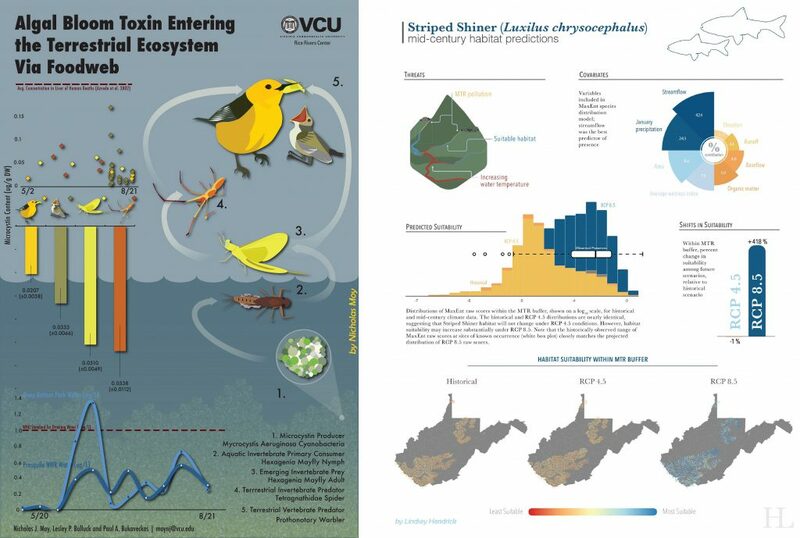 Right: Poster by Lindsey Hendrick, examining the potential effects of climate change on fish habitat within West Virginia streams. MaxEnt species distribution models were used to predict future changes in habitat suitability and to assess whether West Virginia fishes are likely to shift to higher elevations, thereby increasing exposure to mountaintop removal surface coal mining. ‘Of course, this has been a trial-and-error process,’ notes Dr McGarvey. ‘Not everything that we have tried has worked equally well and we are continually reassessing what we do in the eESP2.0 courses.’ For instance, students often want to develop thematic visuals that can immediately be used in their own individual research. But students enter the eESP2.0 classes at different stages of their training and the instructors have found it is often best to use common themes and datasets for teaching purposes. One assignment that does require students to think hard about their individual work is the personal logo. Each student must create an image that is simple yet visually compelling, while thinking in an abstract way about their professional interests and identity. Logos designed by the students. All of the eESP2.0 students acquire visual skills that are conspicuous, relative to other STEM graduate students. A few have gone further and genuinely surprised their teachers by demonstrating an obvious latent talent for visual communication. Dr McGarvey and Faris are now assembling indicators of student success that are anecdotal, but nonetheless compelling. A high-resolution version of each of the graphics included here can be downloaded at https://doi.org/10.6084/m9.figshare.7667735.v1. Several of the past infographics students have received best presentation awards at regional and national research conferences. One was invited to speak about her infographics training and the opportunities it has created in a special science communication symposium at the 2018 Annual Meeting of the Society for Freshwater Science. Another was asked to create a modern redesign of an iconic ecological image (Raymond Lindeman’s food web diagram from Cedar Bog, Minnesota), then co-authored an article in the Bulletin of the Association for the Sciences of Limnology and Oceanography in which the new image was published. And most recently, a student from the documentary film course won the grand prize at the 2018 Richmond Environmental Film Festival. Though pleased, Dr McGarvey has not been surprised by these accomplishments. ‘I expected that our students’ unique visual skills would quickly be recognised by their peers,’ he says. He did not anticipate, however, that eESP2.0 training might lead some students to career tracks that focus primarily on science communication, rather than on scientific research per se. Yet in several cases, this is precisely what has happened. For example, one student who developed particularly strong design and visualisation skills was hired as an intern by the conservation organisation NatureServe. Four years later, he has been promoted to a lead design and science communication position at NatureServe. Graphical icons by Stephen Via (left; depicting effects of residual explosive compounds on plant communities) and Deborah Howton (right; depicting five species of seagrasses in the Loxahatchee River, Florida). The plan is to pair eESP2.0 students with representatives from local regulatory agencies and nongovernmental organisations. These representatives will provide students with thematic narratives and supporting data on topics of local and regional interest. Students will then develop multimedia presentations from these materials and present their work to public audiences. To assist in collecting and analysing audience feedback, Dr McGarvey and Faris have recruited new help through the VCU School of Education. Dr Christine Bae, an assistant professor and specialist in STEM teaching and learning, is the newest eESP2.0 collaborator. This partnership will provide a sound pedagogical foundation as Dr McGarvey and Faris work to place eESP2.0 within a broader scientific context. Dr Daniel McGarvey is an associate professor and the graduate program director at the Center for Environmental Studies, Virginia Commonwealth University (VCU). He holds a BA in Biology and Geology from Wittenberg University, an MS in Fisheries Science from Pennsylvania State University, and a PhD in Biology from the University of Alabama. 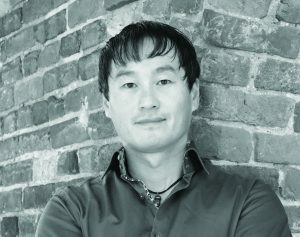 He joined the Center for Environmental Studies in 2011, after several years working as an environmental modeler at the US Environmental Protection Agency and a course instructor at the University of Georgia and Oregon State University. In the past, he also worked as a stream ecologist for the National Council for Air and Stream Improvement and as a fisheries consultant for the US Fish and Wildlife Service. Dr McGarvey’s research focuses on a broad range of topics, including stream ecology, fisheries science, community and ecosystem ecology, biogeography, macroecology and ecological modelling. Sarah Faris is an assistant professor in the Department of Communication Arts at VCU and the principal illustrator at SciMed Studios. 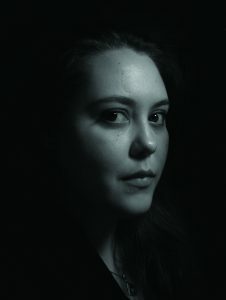 She holds a BFA in Communication Arts from VCU and an MA in Medical and Biological Illustration from John Hopkins University. She has worked at VCU for 10 years, where she has transitioned from an adjunct to assistant professor. In the past, she was a medical illustrator for Amicus Visual Solutions and Seif and Associates. Faris has created medical and scientific illustrations for several textbooks and publications. Her work has received multiple honours and awards, including the 2011 Award of Excellence for Professional Medical Legal Illustration by the Association of Medical Illustrators.